Furaldehydes and benzaldehydes are among the most toxic inhibitors from lignocellulose pretreatment on microbial growth and metabolism. The bioconversion of aldehyde inhibitors into less toxic alcohols or acids (biotransformation) is the prerequisite condition for efficient biorefinery fermentations. 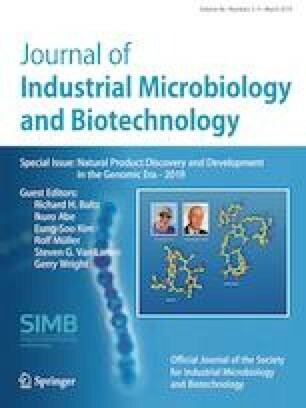 This study found that Corynebacterium glutamicum S9114 demonstrated excellent tolerance and biotransformation capacity to five typical aldehyde inhibitors including two furaldehydes: 2-furaldehyde (furfural), 5-(hydroxymethyl)-2-furaldehyde, and three benzaldehydes: 4-hydroxybenzaldehyde, 4-hydroxy-3-methoxybenzaldehyde (vanillin), and 4-hydroxy-3,5-dimethoxybenzaldehyde (syringaldehyde). Transcription levels of 93 genes hypothesized to be responsible for five aldehydes biotransformation were examined by qRT-PCR. Multiple genes showed significantly up-regulated expression against furaldehydes or benzaldehydes. Overexpression of CGS9114_RS01115 in C. glutamicum resulted in the increased conversion of all five aldehyde inhibitors. The significant oxidoreductase genes responsible for each or multiple inhibitors biotransformation identified in this study will serve as a component of key gene device library for robust biorefinery fermentation strains development in the future biorefinery applications. Pingping Zhou and Imrana Khushk are equally contributed to this work. The online version of this article ( https://doi.org/10.1007/s10295-019-02171-9) contains supplementary material, which is available to authorized users. This research was supported by the National Natural Science Foundation of China (31961133006/31300070) and the National Key Research and Development Program of China (2017YFB0309302).